The Government has commissioned an independent review of children’s social work and frontline child protection practice. Child protection services have been widely derided as a result of a series of scandals such as that involving baby Peter Connelly (Baby P), and many lawyers feel the court system is at breaking point. According to a Department for Education (DoE) press release, Michael Gove, the Secretary of State for Education, has asked Professor Eileen Munro, a professor of social policy at the London School of Economics, to lead the a “fundamental” review of child protection services. Professor Munro has written widely on child protection and the regulation of child care. fundamentally review the system with the question ‘What helps or hinders professionals from making the best judgments and interventions they can to protect a vulnerable child?’ to reform frontline social work practice. Ministers want to strengthen the profession so social workers are in a better position to make well-informed judgments, based on up-to-date evidence, in the best interests of children, free from unnecessary bureaucracy and regulation. The review is the latest in a series in recent times, beginning with the public inquiry into the death of Victoria Climbie in 2000. The most recent round of criticism arose from the controversy surrounding the death of Baby P in 2007, the shock waves of which are still being felt in the courts with the recent Sharon Shoesmith employment tribunal and with the General Medical Council prosecution of the baby’s GP, Dr Jerome Ikwueke due to start next week. Probably 80% of the people the family law service deal with lack the financial means to pay to be represented in court. Most have little education or understanding of court procedures or, by very reason of their emotional states, should not be acting in person. Trying to achieve the least worst outcome for the children of these parents is an intense exercise in guidance and support on the part of experienced, specialist lawyers. And yet that support isn’t available for an increasing number of families. Public scandals involving allegations of child abuse now arise with alarming regularity, often accompanied by heavy media coverage. In this climate it not difficult to see why the courts have been actively reducing the number of legal defences public authorities can hide behind in child abuse cases. However, the courts must be careful not to tip the balance too far. 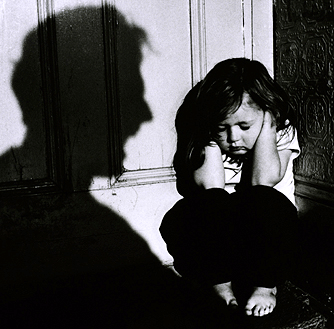 The rationale underpinning the remaining – albeit now greatly diminished – public authority immunity in child abuse cases is that care professionals have to be free to carry out their functions without the possibility of an action for negligence against them by distressed parents, and that the same freedom should last throughout the investigatory process. The task of reforming the child support system is large and unenviable. It is difficult to say whether Professor Munro will succeed where many others have failed, but one thing seems certain. In the face of likely budget cuts across social services, as well as the likelihood of rising unemployment and increased poverty due to public sector job losses, the review will have to come up with some quick and creative solutions to help child and family court services prevent future scandals along the lines of Victoria Climbie and Baby P.